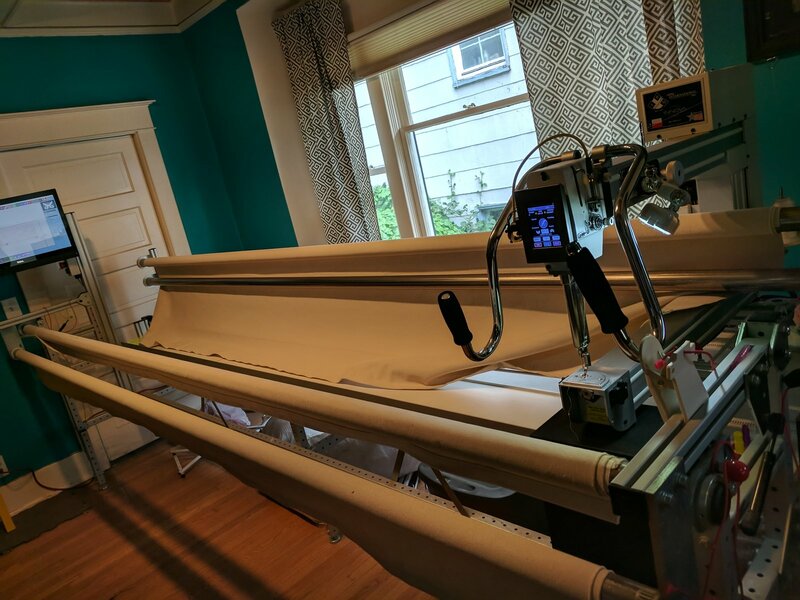 Five months ago I bought my Innova machine (26 inch throat) which is on a 12 foot table and I am not using it as much as I thought I would. This machine also has the Mach3 Autopilot computerized system AND the new GFE system that does machine embroidery! There are tons of quilting patterns already stored on the computerized system. The machine is set up and ready for a test drive. I will gladly provide up to two days of training to the person who purchases this great machine. Additional training is available from the machine dealership. Purchaser is responsible for take down, pickup, transportation, re-assembly and all associated costs. I bought it for $37,215 and it's in perfect shape as it's so new and I have been the only person to use it. I am asking $30,000 and am relatively firm on price. You can Email me at seattle.innova.for.sale@gmail.com for more information.